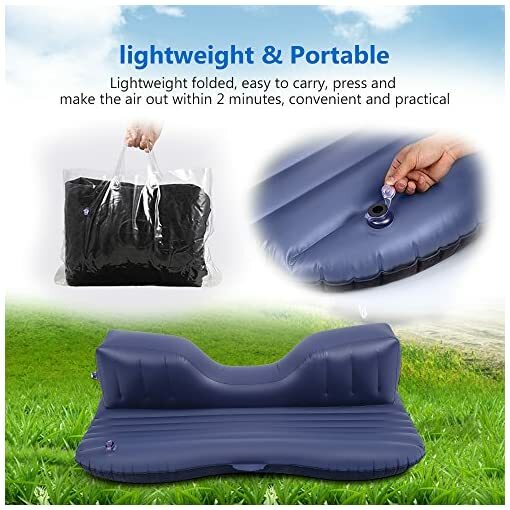 Feature: ▶Security Inflatable structure design and high quality material ensure that in any special circumstances, the product itself will not do harm to human body. 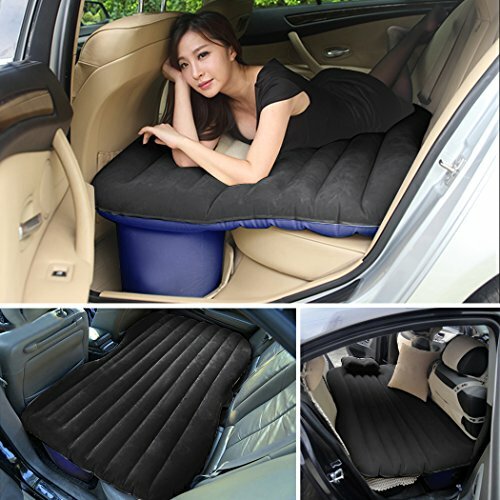 ▶ Weight Capacity: Up to 330 lbs. 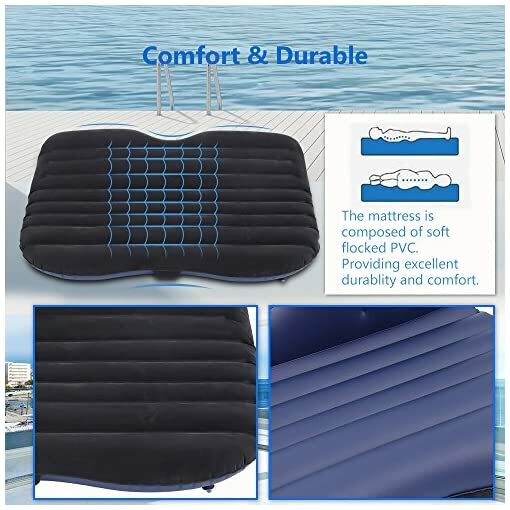 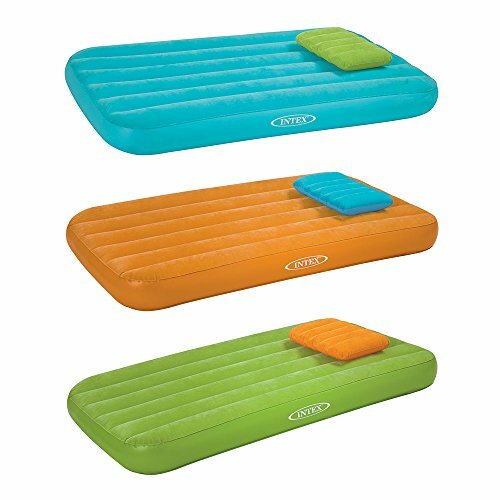 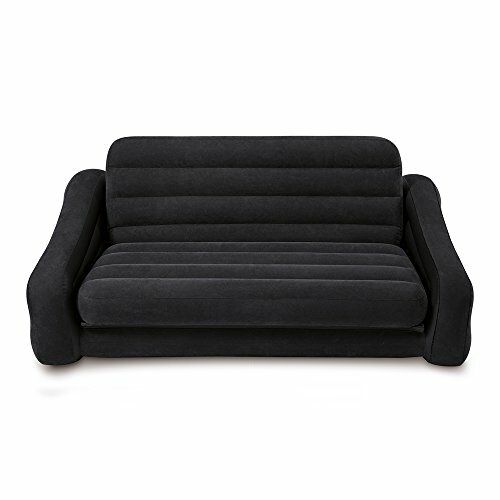 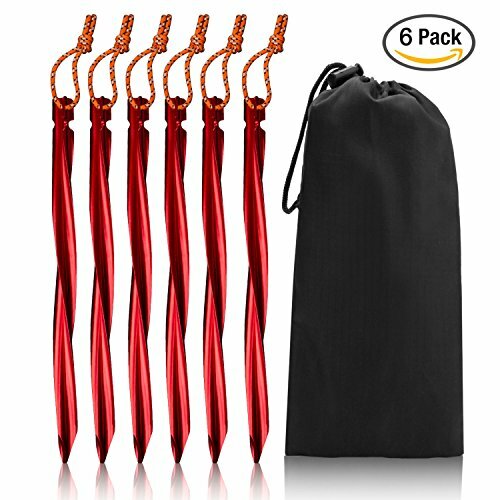 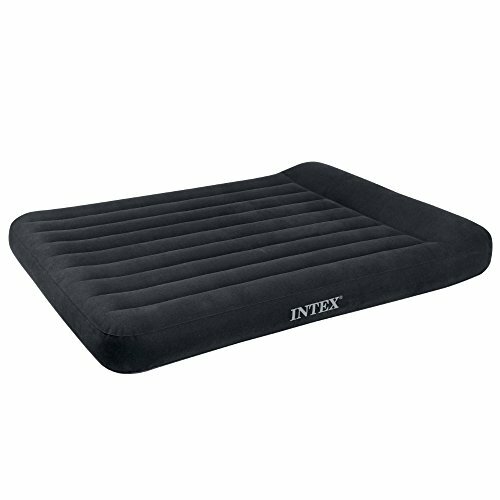 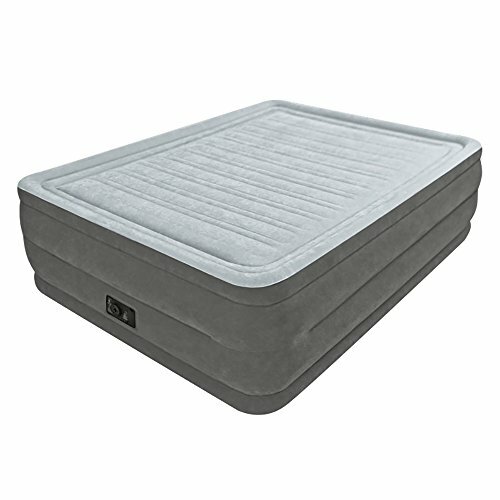 Made of high quality PVC, very soft and comfortable, the surface feels like feather, providing excellent durability and comfort. 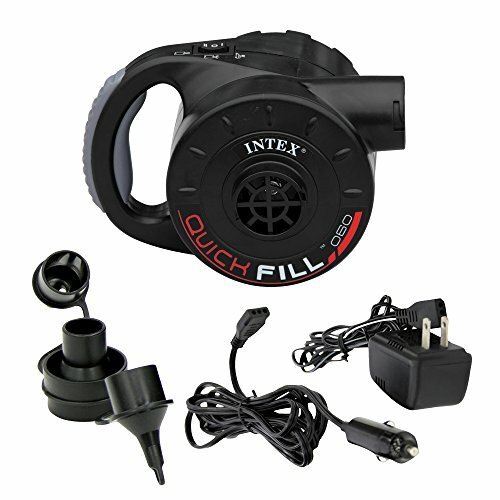 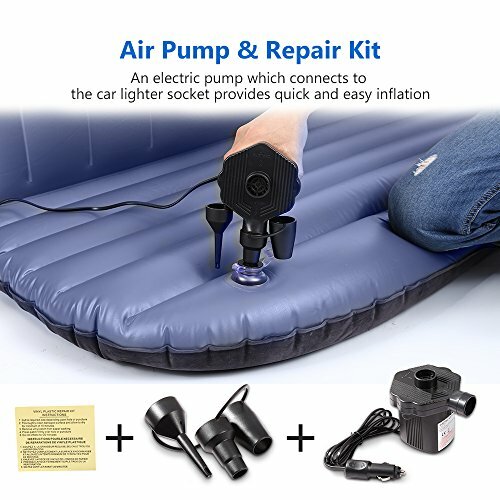 An electric pump which connects to the car lighter socket provides quick and easy inflation within only 2 minutes. Easy to carry and store. 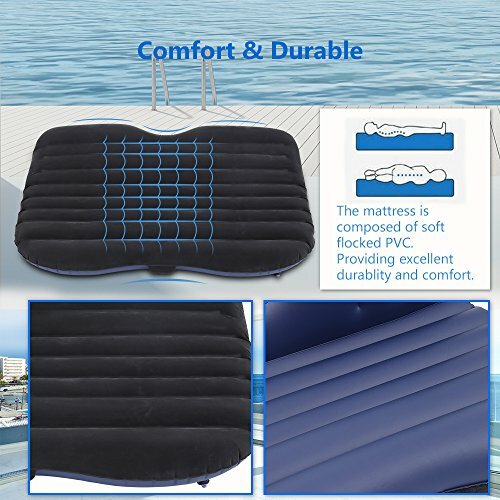 Pillow Size: 35 x 24cm/13.7 x 9.4 inch ,Bed Size: 135 x 88 x 42cm/52.7 x 34.3 x 16.4 inch,Weight Capacity: Up to 330 lbs. 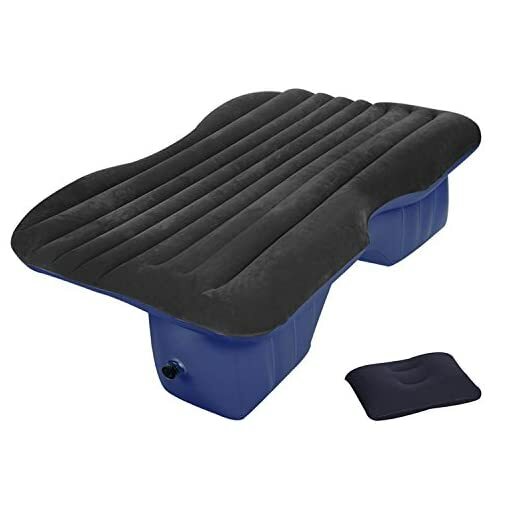 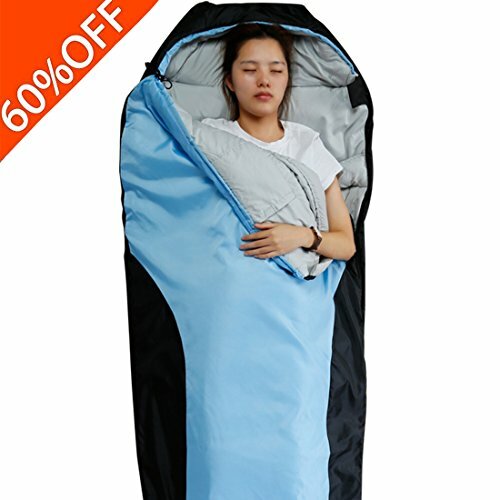 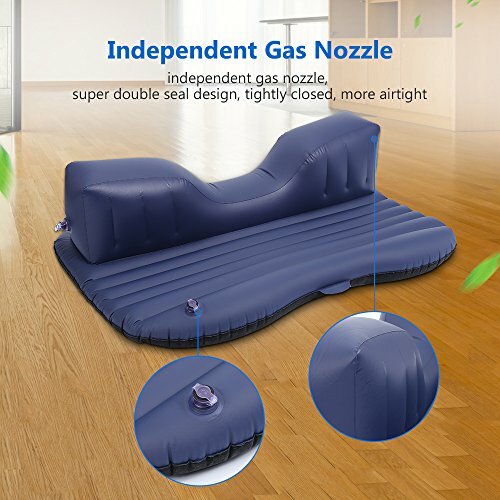 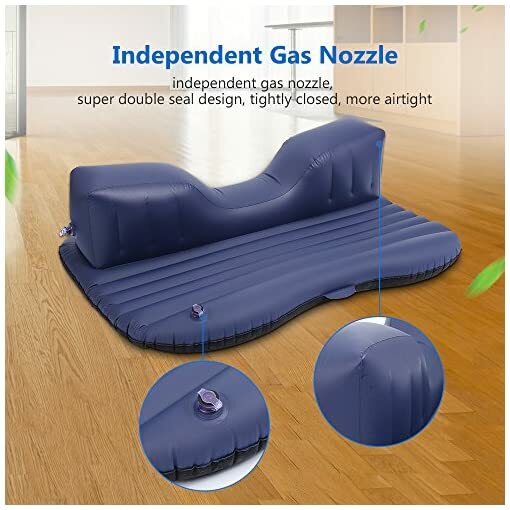 The car inflation bed is divided into two parts, which can be blew up separately, and the user can adjust the inflation volume as needed. 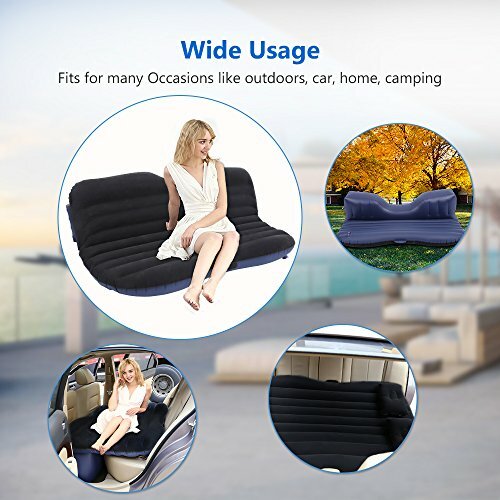 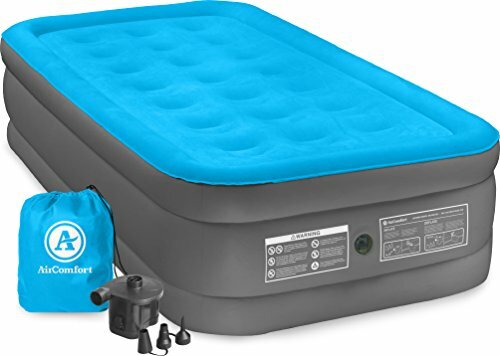 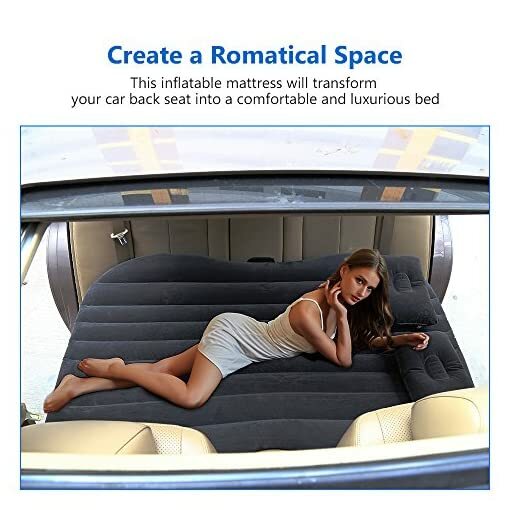 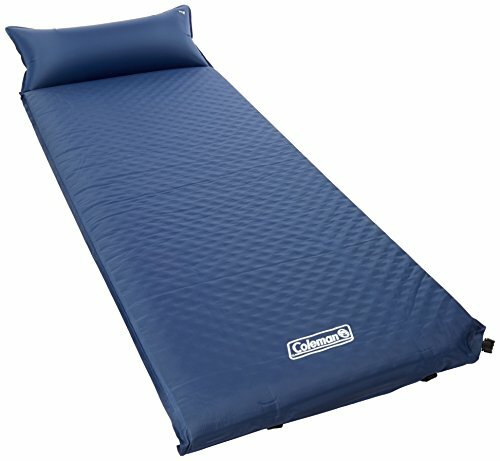 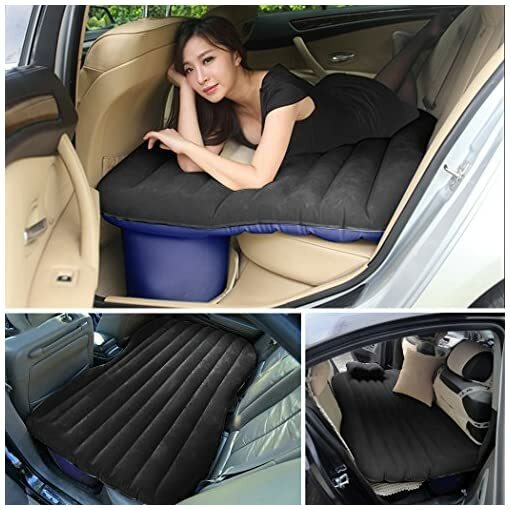 The inflatable air bed is in common use in any mainstream models of sedans SUV and mini Van. 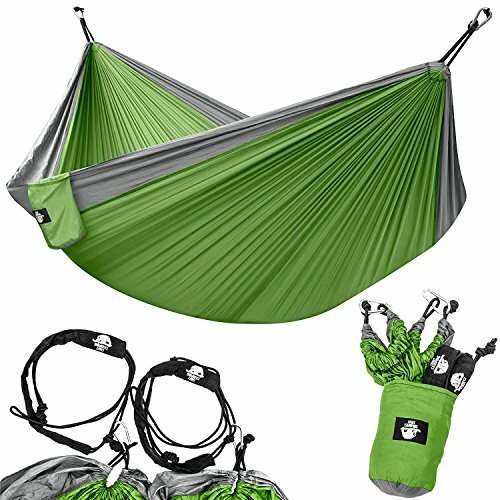 It’s deal for camping, festivals, surf trips, travel, and adventures. 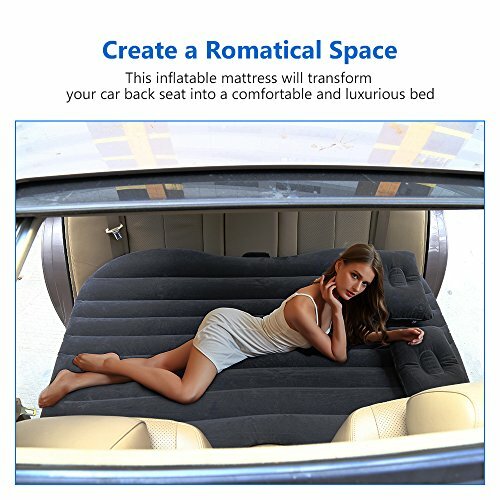 Not only can provide a comfortable environment during car travelling and sleeping, but also can create a romantic space for users.